The launcher is what you get when you press the 'home' button on your android phone. It is something like your Windows Desktop. This is from where you launch apps, and hence the name (I guess :P). So, what is the 'stock' launcher? In android terms, 'stock' means anything that came with the device when you bought it. 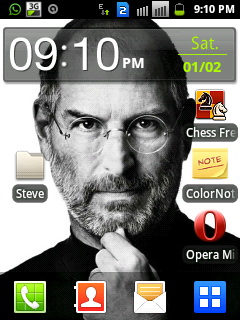 For example, the stock messaging app (read application) is the default messaging app of your device. The stock launcher in Samsung android phones is called the TouchWiz Launcher. There are, of course, different versions of it on different devices. 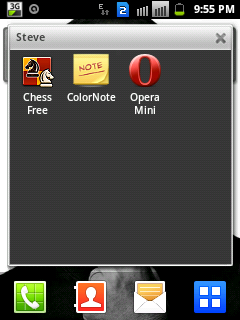 The one we're talking about here is the default launcher that you find in the Galaxy Y and Galaxy Y Duos phones. 1. Press the home button on your android device. You will see something like what is in the picture. 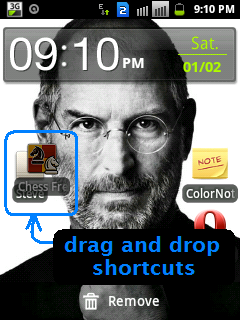 The four-white-squares-in-a-blue-square icon in the bottom-right corner shows you all your apps, when clicked. The picture of Steve Jobs is the wallpaper. 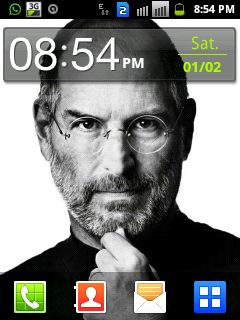 The box pasted on Steve Jobs' forehead is a 'widget' that shows the time. 2. Tap and hold (long press) on an empty area in your home screen. 3. 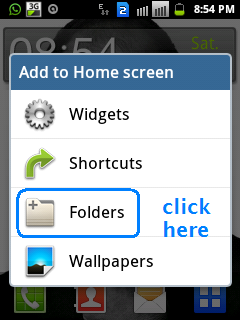 Select 'Folder' from the menu titled 'Add to Home Screen', and then select 'New Folder' from the 'Select Folder' menu. 4. And voila! Your new folder is ready. It is called 'Folder' as of now. 5. 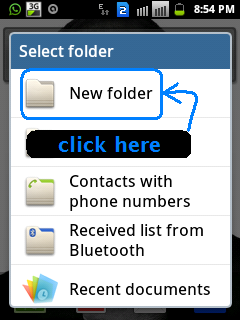 Click on the folder icon to open the folder. 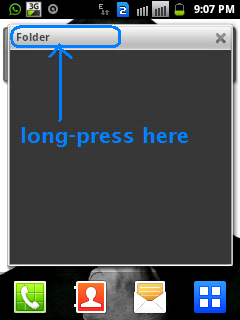 Long press on the folder's name when the folder opens. 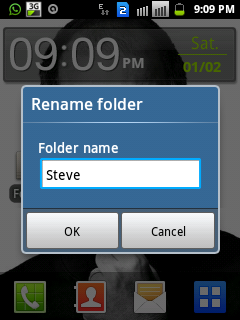 This opens a 'Rename folder' dialog. 6. Rename your folder and click 'OK'. 8. Your folder is ready!